Below is a list of cabin foreclosures and short sale cabins in the Smoky Mountain Area of Sevier County (includes Gatlinburg, Pigeon Forge, Wears Valley, Sevierville, Bluff Mountain, Waldens Creek, & Pittman Center). The list below is comprised primarily of log homes and cabins for use as investment property and/or second & vacation homes. For a list of permanent residences that are foreclosures or short sales please contact me by calling (865) 809-8600 or sending an e-mail. In the list below, a gray background indicates the property is a foreclosure and a green background indicates it is a short sale. A white background indicates the property is priced at foreclosure/short sale prices but is NOT a foreclosure or short sale. Please note: If a property is marked "Pending" then the property has an accepted offer between the buyer and seller and is waiting to close. To view the most recent new foreclosures and short sales (listed within the past week) please click this link or you can sort the listings below by clicking on "MLS #"in the upper most left tab in the table below. 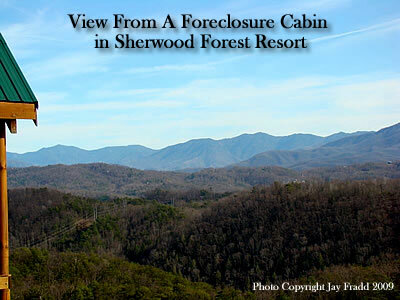 Recent Update: I have changed the presentation of my Smoky Mountain log cabin foreclosure and short sale page. The results shown below are updated daily through my IDX system. Please note, these are the foreclosures and short sales classified as being a log home and does not include residential properties (or other properties where the Realtor failed to correctly identify the type of construction. The "table" of foreclosures and short sale I operate manually on a regular basis can still be found above on this page. I am no longer updating my "Gatlinburg and Pigeon Forge Log Cabin Foreclosure & Short Sale Deals of the Week" page due to other real estate agents frequently using my research and efforts to identify the best deals for their clients. This cabin (pictured to the left) is a foreclosure cabin one of my clients purchased located in Black Bear Ridge Resort in Pigeon Forge, TN adjacent to Wears Valley. The tax market value from Sevier County is $709,400. The log cabin sold furnished originally for $765,000 on March 7, 2006. The cabin then went into foreclosure. Once the property was listed in our MLS my cleint puchased the foreclosed cabin (which was unfurnished) for $293,000 on January 30, 2009. They paid approximately 38.30% of what the original owner paid in 2006 and 41.58% or $414,400 less than the tax value of the property! The cabin was a 6 bedroom, 6.5 bath cabin with 4,704 square feet - calculating at a sale price of $62.29 per square foot! View pictures of cabin as a foreclosure or rent the cabin now managed by Majestic Mountain Vacations. This is one of the widest margins between the foreclosed sale value and the original purchase price, but there have been other similar sales within the market and current opportunities for nearly the same scenarios. See the Sevier County Courthouse tax record below for the details on the sale mentioned above. 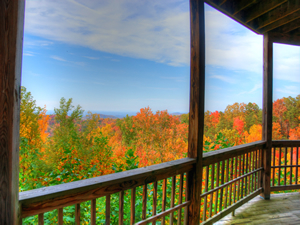 The recent housing bubble bursting has had a notable effect on the investment cabin market in the Smokies. The cabin rental market has not been impacted as significantly as some of the primary resident markets across the nation, but an impact has been felt nonetheless. With bank owned and foreclosed investment cabins being listed for sale well below market value it has caused owners in good standing with their lender to be forced to drop their price to remain competitive in the market. The above development listings are not inclusive of all areas with foreclosures, but are the developments where they are most prominent. Jay has access to and is a subscriber to the database of the leading source in the United States that tracks properties in different stages of foreclosure. This includes special software with databases informing him where a property is in each stage of the foreclosure process, who to contact, the amount owed on the property, location maps of the properties and much more! 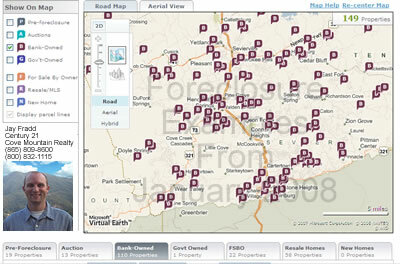 A brief example can be seen in the photo to the right (showing the foreclosed properties in the Smoky Mountains). 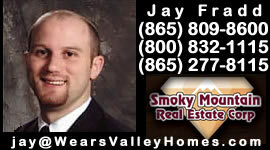 If you are searching for a bargain on an investment cabin rental in the Smokies, Jay would be happy to work with you and provide his help during each process. 2 baths, 5+ acres, and private! Gatlinburg Luxury Rental Cabin near the Gatlinburg Arts & Crafts Community. This one bedroom, two bath luxury cabin includes hot tub, home theater surround sound, custom walk-in shower, and firepit. 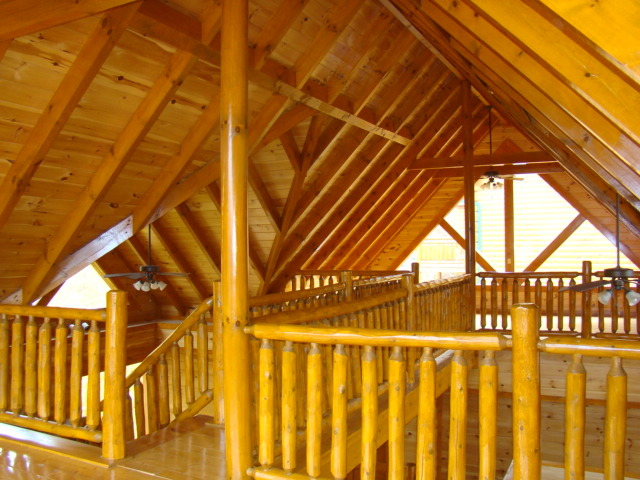 It is among the best in Gatlinburg luxury cabins. Near Pigeon Forge Cabin Rentals well! For a Gatlinburg indoor pool cabin rental try our cabin "Skinny Dippin".